Publishing giant EA has removed the FIFA points currency from its flagship football franchise in Belgium. 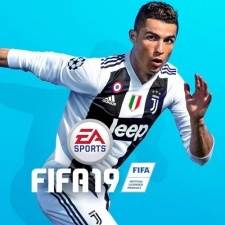 In a post on the company's site, EA said that as of January 31st, 2019 (tomorrow), FIFA Points would no longer be available in the game, meaning that users would no longer be able to buy Ultimate Team packs. This doesn't affect existing purchases. Furthermore, EA has said that it doesn't agree with how Belgian law has been interpreted with regards to loot boxes and says it is working to resolve this issue. "We seek to bring choice, fairness, value and fun to our players in all our games," the corporate giant wrote. "In addition to providing players options in how they play, we include pack probabilities in our games for the transparency players want to make informed content choices. While we are taking this action, we do not agree with Belgian authorities’ interpretation of the law, and we will continue to seek more clarity on the matter as we go forward. The impact of this change to FIFA Ultimate Team in Belgium is not material to our financial performance." The conversation about loot boxes and random drops such as those found in FIFA Ultimate Team started with, yes, EA's own Star Wars Battlefront II. That title came under fire for its rather aggressive monetisation strategy, so much so that the entire system was pulled from the game before launch. Since then, the business model has been under investigation around the world with different regions finding different problems. The Netherlands, for example, called for item trading to be removed from games, as the real-world value of goods from loot boxes is the issue. Meanwhile, Belgium has flat out said that loot boxes are gambling and therefore illegal. This monetisation option has already been removed from Overwatch in the region, as well as 2K's NBA basketball franchise. The Take-Two owned company called upon its consumers to reach out to their government reps to lobby for loot boxes as a business model, which was a questionable choice. In America, the FTC is investigating loot boxes. Oh, and US video games trade body The ESA has said several times that loot boxes are gambling, to which no-one is expressing any shock.